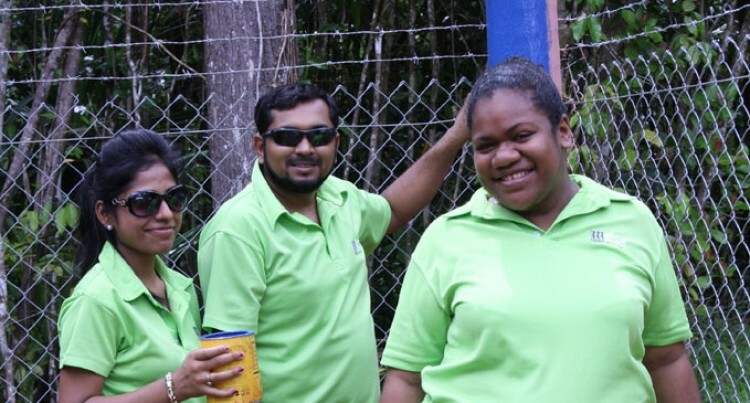 BSP staff Komal Ben, Aktab Mohammed and Ivamere Turaga at the Children’s Park in Colo-i-Suva. A new children’s park at Colo-i-Suva will attract more visitors locally and from overseas says, Bank South Pacific (BSP) Nausori and Valelevu branch manager, Shailendra Roy. “Staff of BSP Nausori and Valelevu are currently assisting private contractors build a children’s park within the Colo-i-Suva eco-tourism site and it is scheduled to open on December 30,” Mr Roy said. He said the community project costing $10,000 would benefit the landowners because the new facility would help attract more visitors. Mr Roy said the staff of the two branches would help in the landscaping of the lower pool and beautifying and decorating the playing area also.